Have you left your door open for a possible data breach? These days headlines are rife with cyber attacks, security breaches, phishing, hacking and so on. 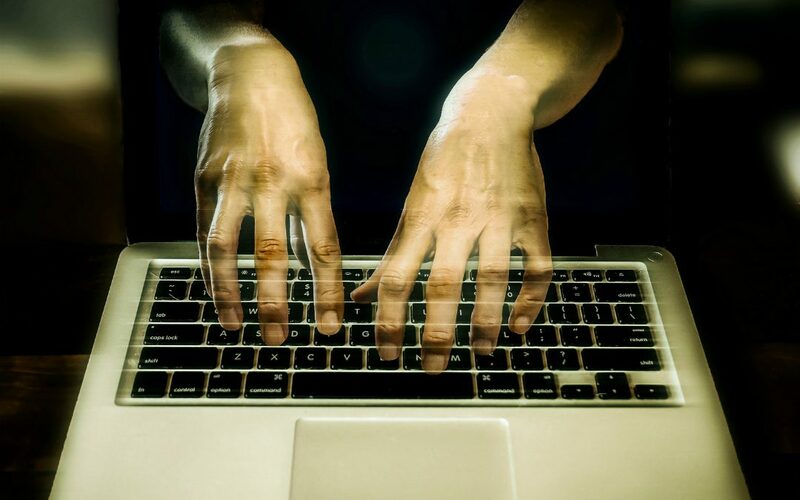 Let’s face it – nefarious hackers seem to run in perpetuity. To combat this, numerous computer protection software solutions are available. Most email browsers also come equipped with their brand of virus scanning and protection. However, the proliferation of mobile and smartphone technology has introduced the new type of cyber vulnerabilities, and as the majority of media consumption activity is now app driven, apps have become the number one source for cyber-attacks. People are using apps to access everything from online banking, to shopping and even controlling home devices. Popular business apps like Asana, Trello, ScanBizCards, Expensify, Proven and more are irrefutably highly useful but you have to be wary of the fact that if any unauthorized user gets access to your data, you may end up falling prey to a devastating data breach. This may result in lawsuits or irreparable harm to your brand’s reputation and customer trust. And once you find yourself in the middle of a breach, there seems to be nothing that you can do about it. With so much at stake, here is what you need to know to protect your precious business data. Before you take any serious vigilant measures against data breach, the most important thing is to prepare your employees. Because no matter what you do, if your employees are not compliant, then every other measure you take may go in vain. For example, many employees have a penchant of sharing confidential information through cloud services. This is a disaster waiting to happen. These things may seem minor at first. However, the repercussions can be vast. Thus, first and foremost, you need to educate your employees about everything they can do at their end to prevent a data breach. Employees must be made aware of security measures like remote wipe capabilities, data encryption, setting the necessary permissions, using anti-virus software and so on to ensure data security. Data encryption is a great way to protect your sensitive data from prying eyes. It makes the information unreadable to the users who are not allowed access to it. It is basically a process of converting an important document or data into code in order to prevent unauthorized access. So encrypt the files in transit and at rest so that only authorized users and recipients can decrypt these files. This will help you to protect your sensitive information including customer data, financial records, and more. Furthermore, enhance your data security by using a robust firewall for both your mobile device and your personal computer. You are generally more susceptible to unauthorized activities when you can’t monitor the traffic that comes and goes from your network. That’s why we suggest beefing up your firewall. A reliable firewall can offer your business data appropriate protection against malicious data incursions. As soon as the firewall detects an authorized intervention, it will immediately kill access and block the entrant. Therefore, you can rest assured that the firewall will only allow entry if the person striving to enter aligns with the predefined rules. Pro Tip: Don’t forget to upgrade your firewall setup from time to time. Just like everything else, your firewall also should be maintained and updated properly to work at its potential best. Now, it seems like you are pretty much secure. You have educated your employees. Your data is encrypted and you have even created a firewall. It already looks like no hacker can now access your private data. But hold on! Are you overlooking something crucial? It is commendable that you have taken steps to protect your office network against a data breach, but what about the times when your employees might work remotely? What about satellite offices accessing corporate applications and resources? In this case, you should consider deploying a VPN (virtual private network) for your employees to create a secure encrypted connection. However, no matter what steps you take, there’s still so much that might go wrong. After all, you can never have enough weapons in your arsenal, so prepare yourself for the worst. As the time-honored adage says, hope for the best, but prepare for the worst. Although, once you have everything in place, it is highly unlikely that someone can breach your data. That said, the internet is inundated with several high-profile data breach cases which clearly indicate that no one is safe. So, your company should prepare a data breach response plan beforehand. Not only will it help you deal with the aftermath but also recuperate your losses. Therefore, while you keep your data intact don’t overlook creating a response plan. Hopefully, our discussion on data breach will jolt you into realizing the need of taking data breach measures. Make sure that you don’t leave anything out – from educating your employees to using firewalls, encrypting your sensitive data to deploying a VPN – each and every measure is absolutely necessary for your business data. Hence, take the above measures to bridge any security gaps you have and bulletproof your data against breaches.